KK07 serie 3 møder lørdag eftermiddag kl. 14.00 Borup IF på Kølvrå Stadion. 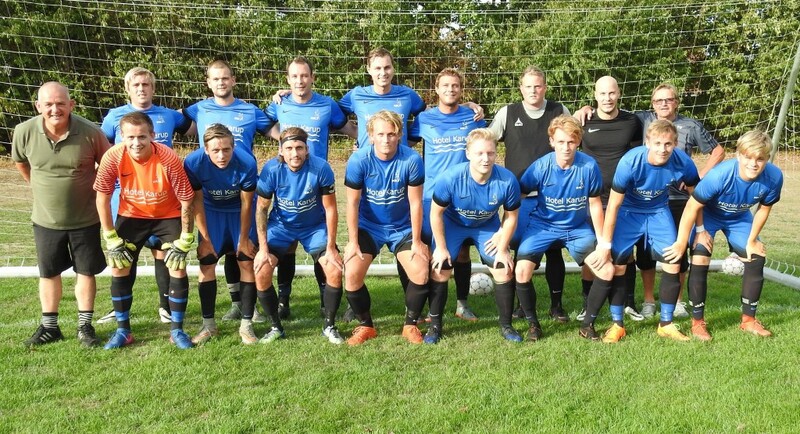 Mike Dohn, Nicolai Gansler, Andres Thagaard, Frederik Jørgensen, Chris Dohn, Frederik Dahlgaard, Mark Tulstrup, Johan Kjemtrup, Nicolai Madsen, Søren Jørgensen, Mads Sørensen, René Josefsen, Bjarke Andersen og Bjørn Lassen. Whats Going down i am new to this, I stumbled upon this I’ve discovered It absolutely helpful and it has aided me out loads. I am hoping to give a contribution & assist different customers like its aided me. Good job. obviously like your web-site however you need to test the spelling on quite a few of your posts. Several of them are rife with spelling issues and I to find it very troublesome to inform the reality on the other hand I¡¦ll certainly come back again. Helpful information. Fortunate me I discovered your site accidentally, and I am surprised why this accident didn’t took place earlier! I bookmarked it. Whats Going down i am new to this, I stumbled upon this I’ve discovered It positively useful and it has helped me out loads. I’m hoping to contribute & assist other users like its helped me. Good job. Of course, what a splendid site and enlightening posts, I will bookmark your blog.Have an awsome day! you’re truly a just right webmaster. The web site loading pace is incredible. It seems that you’re doing any unique trick. Moreover, The contents are masterpiece. you’ve performed a wonderful process in this matter! Hello, i read your blog occasionally and i own a similar one and i was just curious if you get a lot of spam remarks? If so how do you reduce it, any plugin or anything you can recommend? I get so much lately it’s driving me crazy so any support is very much appreciated. I¡¦ve read a few excellent stuff here. Certainly worth bookmarking for revisiting. I wonder how so much effort you place to create this kind of magnificent informative site. Someone essentially help to make severely articles I would state. This is the first time I frequented your website page and thus far? I amazed with the research you made to create this particular put up incredible. Fantastic activity! A person necessarily assist to make seriously articles I might state. That is the first time I frequented your web page and so far? I surprised with the analysis you made to create this actual post amazing. Excellent process! Somebody essentially help to make severely posts I might state. That is the first time I frequented your website page and thus far? I surprised with the research you made to create this particular post incredible. Fantastic job! A person necessarily help to make critically posts I would state. This is the first time I frequented your website page and thus far? I amazed with the analysis you made to create this particular post incredible. Magnificent task!